Are you a chocoholic who is cutting milk out of your diet? Whether you're going dairy-free due to allergies, lactose intolerance, or a decision to go vegan, the good news is that you don't have to give up your favorite treat. The market for vegan chocolates is booming, with certified vegan brands available for pure chocolate, candy bars, chocolate treats such as chips or candy, and chocolate-related products like ice cream and chocolate syrup. Whether you prefer the creamy texture of milk chocolate or the intense cocoa flavor of pure dark chocolate, there are milk-free chocolates out there for you. Here at Today Top Reviews, we've put together a list of the ten best brands of vegan chocolates on the market. Read on to find the tastiest milk-free chocolates to satisfy all your chocolate cravings. 1. How Are Vegan Chocolates Made and How Do They Differ from Regular Chocolates? Milk-free chocolates do not contain dairy or egg products, or any animal-based products like honey. The process of making vegan dark chocolate is very similar to making regular dark chocolate while vegan milk or white chocolate will often incorporate a non-dairy milk like rice milk. 2. Are Milk-Free Chocolates Safe for People with Allergies? Having vegan certification means products are free from dairy even though the same facilities may make other dairy-based products. For other allergies, particularly nuts and peanuts, be sure to check the product label. 3. Are These Chocolates Healthier to Eat than Regular Chocolates? Dark chocolate is healthy for your heart and is okay to eat in moderation. The same applies to milk-free chocolates, and the higher the cocoa content the better. Vegan candy bars and milk chocolate are the same as their dairy equivalents although they may be slightly lower in calories. 4. How Does Milk-Free Chocolate Compare, in Price, to Regular Chocolate? For high-quality dark chocolate products, there is not a notable price difference. The vegan chocolate version of candy bars and milk chocolate are significantly more equivalent on average. 5. 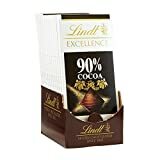 Where Can I Find the Best Vegan Chocolates? You can find the brands we review in this article on Amazon, at major health-food and vegan specialty stores, and in the organics/health-food sections of major grocery retailers like Wegman's. We reviewed chocolate brands based on parameters including: ingredients, affordability, available varieties, taste, similarity to non-vegan options, and calorie content/health benefits. 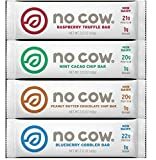 The milk-free chocolates on this list range in price from $ to $ on Amazon, with individual bars ranging from $ to $ and multi-packs ranging from $ to $, 12 to 16-count packages. D's Naturals No Cow is one of the most popular vegan protein bar brands on the market. With healthy ingredients and a variety of flavors, it's exactly the energy boost you need, thanks to clean vegan protein from brown rice and peas, and natural low-calorie sweeteners from monk fruit and stevia. Lower in calories than similar protein bars, their 16-count sampler pack contains four each of their 4 most popular flavors, raspberry truffle, peanut butter chocolate, cocoa chip, and blueberry cobbler. Lindt is one of the most popular chocolate brands in the world. While most of their products are not vegan, their Cocoa Excellence line is certified vegan and gluten-free, and is perfect for dark chocolate lovers. Ranging in intensity from 70% cocoa to 99% cocoa, which is right for you will depend on how intense you want your chocolate flavor. Sweet, rich, with an increasing bitter taste as cocoa percentages increases, these chocolates are ideal for those who like the natural flavor of cocoa front and center. 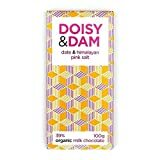 With its colorful pastel exterior and its all-natural ingredients, Doisy & Dam's chocolate is a favorite of vegan chocolate fans from Britain. It comes in 7 varieties, but its Date & Himalayan Pink Salt option is their most popular. Mixing the subtle sweetness of dates with the saline kick of Himalayan salt, it blends perfectly with D&D's custom non-dairy milk chocolate blend. All of D&D's products contain 8 or less easy-to-identify ingredients. 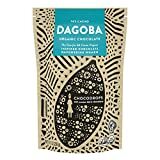 Dagoba has a reputation as one of the healthiest milk-free chocolates in the world. Their products are certified Kosher and gluten-free, and their 8-ounce bag of baking chocolate is perfect for those looking to bake up their favorite recipes. Made from organic dark chocolate, cocoa butter, and cane sugar, it's different from standard baking chocolate in that you can eat it straight from the bag. Alter Eco is a brand designed to produce quality products through cooperation with small-scale farmers. Their vegan dark chocolates come in a variety of flavors and their thorough vegan certification ensures their sugar processing does not use animal products. Certified organic and fair trade, they have 7 vegan chocolates available, including Dark Blackout 85%, Dark Deep Sea Salt, Dark Quinoa, Dark Almond, Dark Twist, Dark Cacao, and Dark Mint. Seed and Bean's vegan line of dark chocolates comes in 14 unique varieties, and they've won 9 awards from Great Taste, the world's largest food and drink awards. Using all-natural flavorings, their vegan selections use Fair Trade certified chocolate from Ecuador. 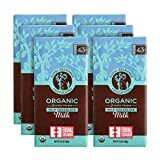 Made with organic Fair Trade coffee, the Espresso Dark Chocolate Bar packs powerful espresso kicks for those desiring the chocolate/coffee flavor combination. Endangered Species is one of the oldest and most popular vegan chocolate brands. Committed to giving back, they donate 10 percent of net profits to a slate of organizations devoted to wildlife conservation, and raised over a million dollars in the last 3 years. Their Fair Trade-certified and gluten-free vegan chocolates come in dark chocolate with a unique mix of add-ins. Their variety pack includes 6 popular flavors, including Dark Chocolate, Blueberry, Blackberry Sage, Raspberry, Dark Intense, and Dark Extreme. Known for their coffee, tea, and bananas, Equal Exchange has expanded their small-batch ethical farming operation to chocolate. From farms and co-ops in Peru, Ecuador, and Paraguay, their chocolate bars are vegan and certified organic, and 8 flavors come in 6-packs. With dark cacao content ranges from 65% to 88%, they make great gifts. 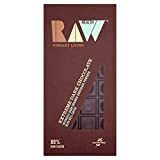 Raw chocolate, an innovation in the vegan chocolate world, preserves the natural nutrients of dark chocolate. Eighty percent cacao, this bar contains ingredients the manufacturer never heats above 42 degrees celsius. This preserves antioxidants and results in an intense and fruity flavor that's closer to the original cacao seed taste. 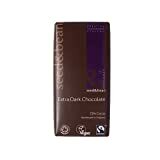 With no refined sugars, it's a healthy and sustainable chocolate fix. 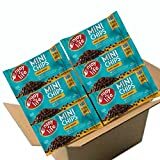 This Kosher-certified product is the perfect alternative for vegans who have been missing chocolate chips. Made from only 3 ingredients - cane sugar, unsweetened chocolate, and cocoa butter - these chips are creamy enough to fit perfectly into your favorite baked goods and tasty enough to snack right from the bag. With no allergens or gluten, they are chocolate chips everyone can enjoy. If you're going vegan or eliminating dairy from your diet, vegan chocolates are much more varied and taste far better than they used to. You'll find high-quality chocolate in all 10 brands we reviewed on this list, but the best buys in both quality and price are in the multi-packs. It was a close call between several brands, including Endangered Species and Lindt, but the variety of flavors and the company's dedication to charity work and wildlife conservation made us push the needle in favor of Endangered Species Chocolate Variety Pack. With 6 flavors at under $ a bar, we gave Endangered Species our endorsement as the best of vegan chocolates.